The release of Girard-Perregaux’s Laureato collection has been anything but a slow burn. Beginning in 2016 with a limited-edition tribute to the 1975 original, the La Chaux-de-Fonds based manufacturer wasted no time in expanding their offerings. And in 2017 they released a fully-fledged collection of three-handed sports watches. This year, we not only see sporty chronographs and a selection of wonderfully open-worked dials added to the mix but also a tourbillon in an all-titanium body. For students of watch history, the tourbillon forms an integral part of Girard-Perregaux’s identity. Ever since the centuries-old watchmaker won gold for the legendary La Esmeralda pocket watch – a tourbillon with three gold bridges – at the Paris Universal Exhibition in 1889. 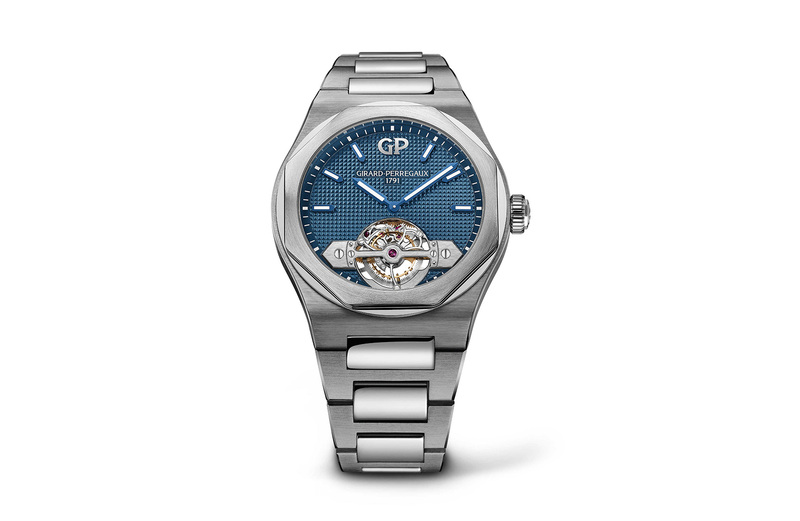 Playing a starring role in GP’s latest Laureato is a tourbillon comprised of 81 parts and weighing just 0.44 grams, held in place at 6 o’clock by a titanium arrow-shaped bridge – a motif that has straddled GP’s dials for more than 150 years, while its recognisable octagonal bezel and integrated 43mm case and bracelet are also crafted in lightweight titanium. 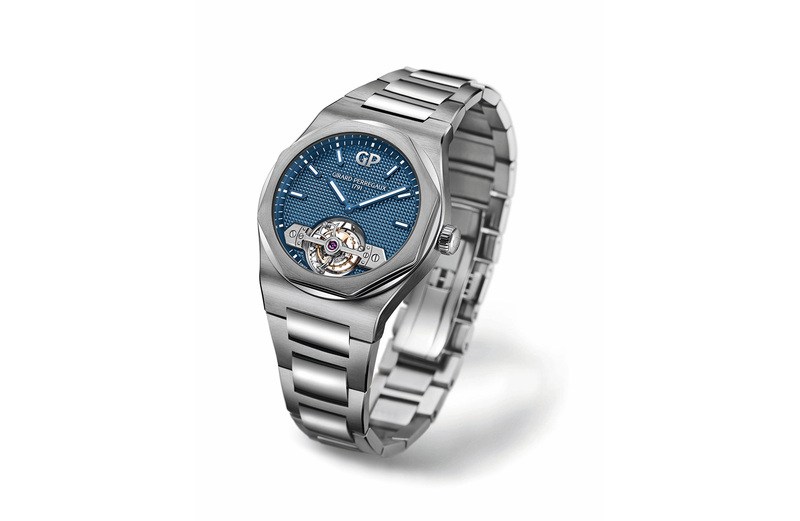 And the proprietary GP 09510-0003 automatic movement inside brings the hands of the blue “Clous de Paris” dial to life, with its micro-rotor topping up a minimum power reserve of 47 hours. The latest in a long line of gravity-defying escapements, the Girard-Perregaux Laureato Tourbillon is unmistakably GP, both of yesterday, and today.